A parade of designer handbags were up for auction for a good cause at Lupus LA‘s 11th Annual Hollywood Bag Ladies Luncheon last week. Items up for grabs included a $16,000 Dior purse and a fashion package that included a Zac Posen gown, tickets to New York Fashion Week and a 4-night stay at the Trump Soho Hotel. Attendees were treated to lunch and a dazzling ‘Parade Of Handbags’ fashion show featuring bags from designers including Burberry, Jimmy Choo and Fendi. Janice Wallis, Kelly, Sharon and Dorothy Stone were honored at the event, which was held at the Beverly Wilshire hotel. The luncheon was especially memorable as it raised almost half a million dollars for Lupus LA, making it the most successful Hollywood Bag Ladies Luncheon yet. 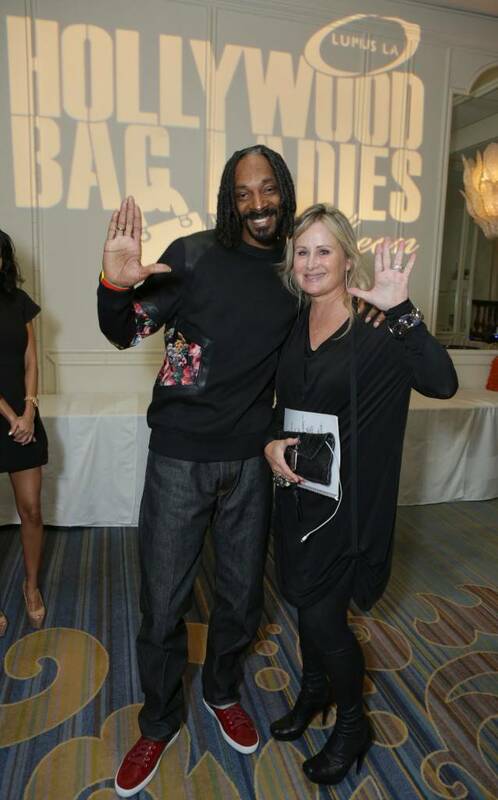 Celebrity attendees included Snoopzilla, Nikki Reed, Louise Roe, Melissa Joan Hart, Angie Everhart, Kathy Hilton, Golnesa “GG” Gharachedaghi, Kelly Stone, Brittny Gastineau, Lisa Gastineau, Sandra Taylor, Eden Sassoon, Meredith Monroe, Lesley Nicols, Kenny Doughty, Lilly Ghalichi, Katrina Parker, Vanessa Branch, Kellie Martin, Jackie Cruz, Asa Soltan Rahmati and Taylor Spreitler.